* One click phone to phone transfer between iOS & Android. * The contacts, messages, call logs, music, photos, videos, apps, etc. all can be transferred. 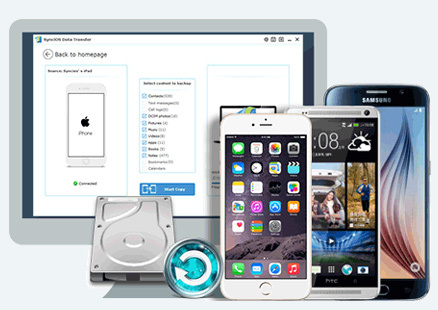 * Backup phone data to computer and recover to device. * Retrieve data to phone from iTunes/iCloud backup. 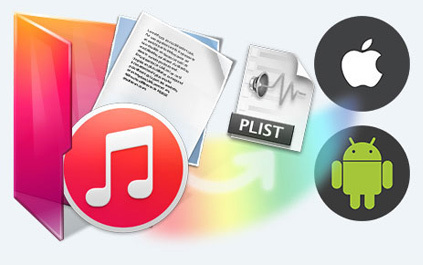 * Sync contents from iTunes Library to PC and iDevices. When you got a new phone and don't know how to copy data from the old phone to the new one? What to do if you are Android user transitioning to Apple? -- Simply connect both your phones to PC and enjoy the data shift between multiple phones in one click. Selectively transfer data between any two of them without data loss. 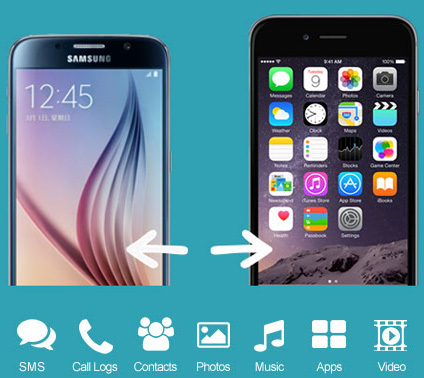 Transfer almost all files including contacts, video, SMS, photos, call logs, music, Ebook and apps between phone to phone! 1. Transferring App data and game saves from one device to another is currently not available. 2. Syncios currently does not support backing up or transferring Apps on iOS 9 and latter version. How terrible of losing a phone! All contacts, photos, videos are gone. So do not forget backup your phone regularly. 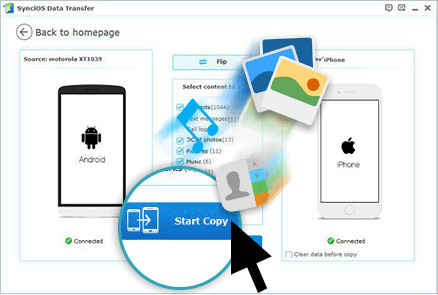 With Syncios Data Transfer, backup all Android/iOS contents to computer in 1 Click, including contacts, sms, call logs, photos, videos, music, apps and more. You can restore data to phone from the backup any time. 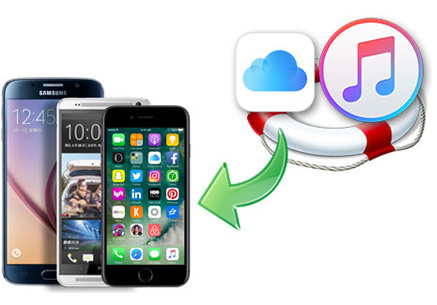 Restore from iCloud Backup: You can recover your iCloud backups easily via Syncios Data Transfer. It supports recovering contacts, sms, call logs, DCIM, bookmarks and notes to iOS or Android devices.